The source of water damage can be as simple as a leaking toilet, to a burst pipe, to a storm or flood damage. If water-damaged areas are not promptly and correctly dried out – mold can grow, creating even more damage. NYTDR water damage repair service in New York City covers you from the emergency disaster cleanup through full property restoration. 1. If the water source is unknown, we will use specialized equipment to determine where the water is coming from. If the source is still active, we will stop it. 2. Our Insurance Adjuster will inspect and evaluate your property, documenting all items that have been damaged and recording any lasting harm to the structure of the home (This will help get the most out of your water damage home insurance.) As with fire damage restoration, we will dispose of items that cannot be recovered, and inventory items that can be salvaged by cleaning, packaging, and transporting the items to a climate-controlled facility for storage. 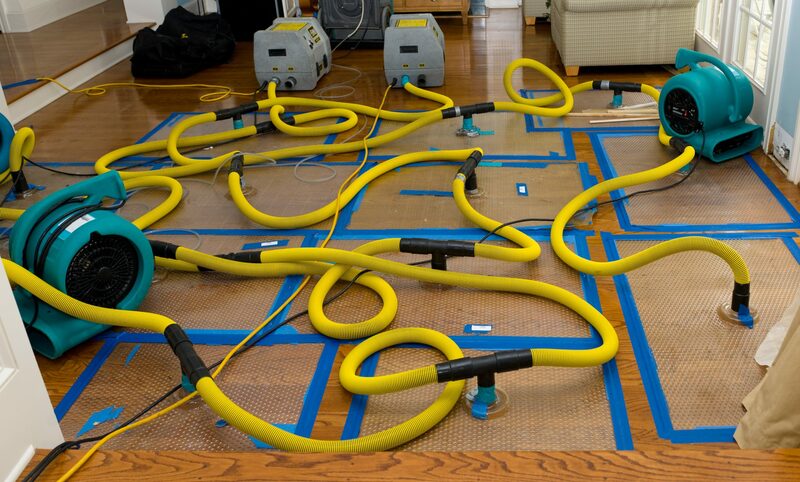 We will extract and dehumidify, removing all water. Our commercial dehumidification equipment will pull any water from the interior and structure of your home. 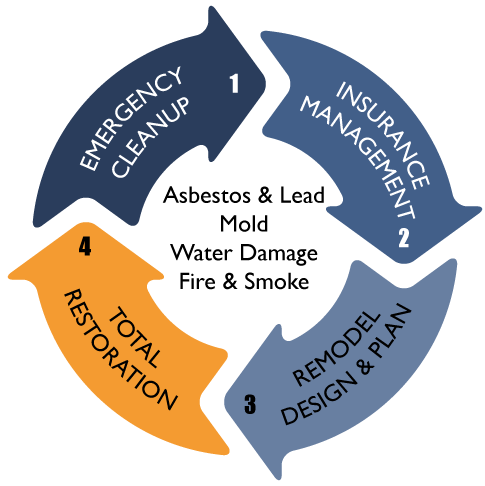 Whether mold has grown and requires remediation or sewage has backed up, our water damage cleanup specialists do it all. We will clean and sanitize with “green safe” antimicrobial products. Our water damage restoration contractors will follow the IICRC guidelines (Institute of Inspection Cleaning and Restoration Certification). 4. We will restore your home to be as good as new, or even better!